The No.1 SUNDAY TIMES bestseller. A fascinating explanation of how evolution works, from bestselling author of THE GOD DELUSION, Richard Dawkins. 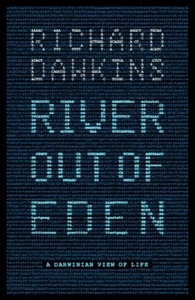 The river of Dawkins's title is a river of DNA, flowing through time from the beginning of life on earth to the present - and onwards. Dawkins explains that DNA must be thought of as the most sophisticated information system imaginable: 'Life is just bytes and bytes of information,' he writes. Using this perspective, he describes the mechanisms by which evolution has taken place, gradually but inexorably, over a period of three thousand million years. It is the story of how evolution happens, rather than a narrative of what has actually happened in evolution. He discusses current views on the process of human evolution, including the idea that we all trace back to a comparatively recent African 'Eve', and speculates that the 'information explosion' that was unleashed on Earth when DNA came into being has almost certainly happened in other places in the universe.